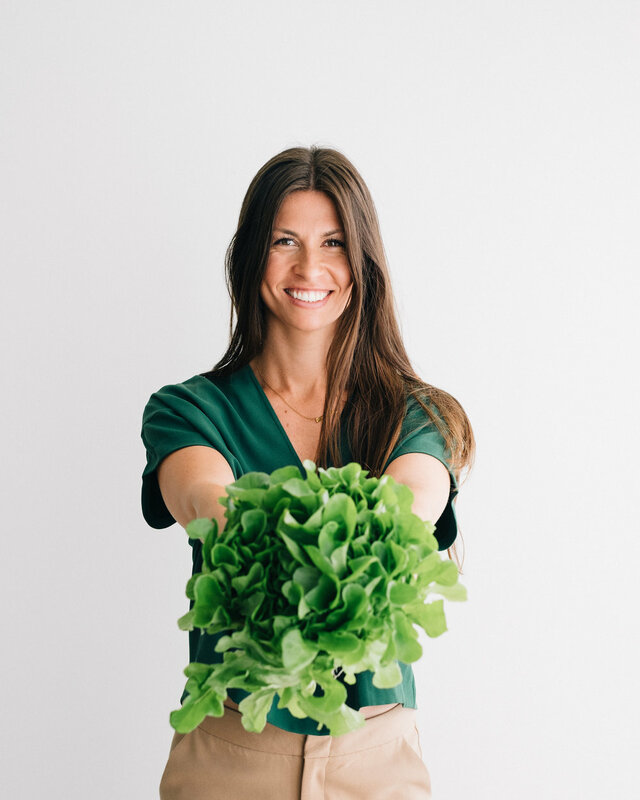 As many of you know, I’m a board certified holistic nutritionist in Vancouver, BC. I also offer nutrition consultations by phone, skype or facetime, which enables me to work with clients all over the world. I’m passionate about plant-based eating, longevity, liver support and women’s hormone balancing. I see clients (humans) for all different imbalances and help them find the root cause of why they’re not thriving. I’ve been consulting with clients one on one since 2015 and in that time I’ve been providing lifestyle and nutrition suggestions to inspire growth. I’ve seen clients for follow-ups and their IBS is gone, they no longer have panic attacks and their eczema isn’t a concern. The power of small changes over time has big impacts. We do not treat, we support imbalances in the body and focus on longevity. You want to know why you have an imbalance, disorder or symptom. Let’s face it, the Western medical system is overloaded and there often isn’t time to share your story. There also isn’t time for them to explain the root cause of your illness and how to support it naturally. You want answers. You want to be in control of your own health and try to prevent further imbalances. Food is medicine and can help with sleep, digestive upset, parasite cleansing, liver detoxification, hormones health, skin, gut health and stress. My client said it best, “I always feel inspired after appointments with you.” Sometimes, we just need someone else to look at how we are living our life and what we are eating and give us new ideas. It’s easy to buy the same things at the grocery store and make the same recipes, but it can get boring. By eating a varied diet, you get different nutrients, which help you stay health. After seeing a nutritionist, you gain clarity. There is so much information on the internet, how do you know what is right for you? Vegan, Keto, Autoimmune Protocol, Gluten-Free, Paleo, Mediterranean, intuitive eating. A nutritionist will explain the best way of eating based on your health goals and current symptoms. You will have the time to ask questions and won’t feel rushed in appointments. You want a personalized wellness plan based on your goals or symptoms. You are in charge of the direction we take! You could buy an e-book on the internet with tips or go off free info on Instagram, but is that best for you? My plans include lifestyle suggestions, body mind spirit and recipe suggestions. Holistic nutritionists take an integrative approach and do not rely on the food guide. Our knowledge comes from in depth training at school, scientific research and real life consulting. We learn anatomy, chemistry, biochemistry, chakras, mind body spirit, food energetics, sports nutrition, nutrition for mom and baby, mental health support and more. If I based every action on a scientific study, there would definitely be information excluded from my plans. The US District Court just released that glyphosate is linked to cancer, it took them that long to admit it. Until now, many thought health professionals were conspiracy theorists because there was no concrete evidence. There is a reason there isn’t research for some topics and sometimes it’s just not ethical to conduct a certain nutrition study. I also would like to point out that a lot of people on the internet have no qualifications or schooling to be educating and giving advice on wellness topics. Always ask the person if it’s not advertised what training they have. Just because someone has 300,000 Instagram followers doesn’t mean you should do everything they suggest. I’m proud to also offer Live and Dry Blood Analysis included in all Initial Consultations. Click here or here to learn more. Hormone imbalances are so common, but they aren’t normal. What I’m trying to say, is that isn’t homeostasis, it’s not the state the body wants to be in. I’m seeing so many clients with irregular periods, PCOS, PMS , blood sugar dips, thyroid changes, fertility concerns and cortisol spikes in the evening. We can help with this and there are reasons this is occurring. Overall digestive upset and unhealthy bowel movements are the most common reasons clients come see me. We are all so busy in today’s society and sometimes we eat out of convenience or when rushed. We may feel bloated, heartburn, loose bowels, constipated and gas. We will help access your lifestyle, diet and maybe even your chakra that’s blocked to help you make change. We don’t need to overhaul your entire life, that is SCARY and isn’t going to last. My business motto is ‘Planting Seeds For A Healthy Life” which to me means moving slowly. If you are drinking 5 cups of coffee a day, but you feel very anxious, I’m going to ask if you think you can reduce it to 2 or 3. Then a month later, we can access it again. After cutting down to 3 a day, you may find 1 a day totally approachable, but if we go from 5 to 1, that is extreme. If you wanted support from your physio, counsellor or RMT would you go once or twice and think everything is in balance? Probably not. Nutritionists take detailed notes about you and you will feel your BEST if you continue to check in. I almost didn’t offer clients the ability to purchase sessions alone as I almost feel it is a disservice to them. I fully believe we should invest in our health because without it, what do we have? You take your car in often without questioning it and you are more important. There is example on instagram going around that says “Your body will be around a lot longer than an expensive handbag. Invest in yourself. You are worth it. - Gemma Atkinson. It’s an investment that is worth it because without taking care of you, you can’t fully be there for others. We all hit dead ends and you can only go so long before the body will give you warning signs. We are invested in your health, we care. I’m not offended when my clients are working with others, my goal is to inspire and educate you to live your best life. If you are seeing other professionals, it’s a sign you care. I would love for doctors, naturopaths and holistic nutritionists to work together more. We need doctors, let me repeat, we need doctors, however, sometimes they just don’t have the time to investigate or educate their patients. Prescription medication often depletes our body of vitamins and minerals. Some of my clients are on medication when they come to see me and we work around this by focusing more on lifestyle and food versus natural supplements. It saddens me that some clients are experiencing terrible side effects from the medications they’re on, especially when there is a natural route that is safe and effective. Information: The most common medication that impacts our microbiome are antibiotics, proton pump inhibitors and non steroidal anti-inflammatory drugs. Sometimes, we do need antibiotics, but on the whole, we should be stepping back and figuring out why our client continually needs prescription medication. The easiest one to shift here is evaluating why a client is reaching for pain medications. I can definitely think of healthier safer options to Aspirin and Ibuprofuen. Thank you so much for stopping by, I appreciate all of you. Interested in booking, please click here.